Issyk Kul (in translation «warm lake») is situated in the far northeast of Kyrgyzstan. It is one of the most well-known mountain lakes in the world and one of the main sights of Kyrgyzstan. The lake is located in the Issyk-Kul hollow, at the height of 1600 meters above sea level. The depth of the lake is 668 meters. As appears from its name, water in the lake does not freeze throughout the year. It doesn’t freeze thanks to huge volume of water and intensive hashing of layers because of which warmth is distributed in regular intervals on all water weight. The water temperature in the top layers is 18-20 degrees in summer, 5-6 degrees in winter. By its solution the water of Issyk Kul is close to the Caucasian mineral waters: it contains salts of sodium, iron, magnesium, potassium, silicon, and a number of trace elements. This water is useful to health and even is curative: at bathing in it wounds heal faster, weariness and stress pass. Kyrgyzstan is a country with a continental climate. Average temperatures of January fluctuate from–2 ° to–8 ° C in valleys and from–8 ° to–20 ° C in medium-altitude mountains. In high mountains average January temperatures are about –28 ° C. Summer is hot and dry, with average temperatures in July in valleys +20–27 ° C, in medium-altitude mountains +15–17 ° C., and in high mountains +5°C and lower. Kyrgyzstan has rich history dating back to far antiquity. The most ancient traces of dwelling of the man in the territory of the republic of Kyrgyzstan go back to paleolith age and were discovered in the central Tien-Shan mountains (near lake Issyk Kul) and in Fergana valley. Tools of paleolith epoch were also found in the south, in Kapchigay area. In the vicinities of Bishkek and Naryn neolithic settlements were discovered. Interesting rock drawings of animals were found in caves in the valley of the Sary-Jazz River. Tribes, who inhabited in the territory of modern Kyrgyzstan in the ancient times, were pagans. They believed in numerous gods, professed a cult of animals and a cult of ancestors. Among them shamanism was widespread. Zoroastrianism, Buddhism, early Christianity and other beliefs made a great influence on the inhabitants of agricultural areas and their religious traditions. In the VII — VIII centuries the region was occupied by Arabs, and Islam became a dominating religion of local population. The national culture of the Kirgizes was based on ancient nomadic traditions of the peoples of Central Asia. The Kirghizes are one of the most ancient nations in Central Asia; they were mentioned in ancient Chinese annals more 2000 years ago. 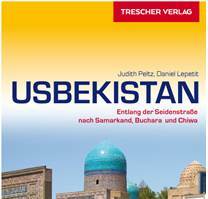 In Kyrgyzstan 2003 was devoted the 2200 anniversary of the Kirghiz Statehood. (The word “Kyrgyz” means “forty tribes”). On this land, unlike neighboring countries as Uzbekistan and China, very few monuments of ancient architecture that would confirm ancient history have remained. It is also possible to feel the trend of ancient history near the tower of Buran, the mausoleum of Manas Gumbez (close to Talas), a caravan-saray of Tash Rabat in Naryn district, a site of ancient settlement and a complex in Uzgen.